Galmet’s metal protection range of anti-corrosive coatings and paints are designed to preserve and protect both new and old steel structures and assets. Galmet® offers only the very best in zinc paint solutions for both galvanized steel and galvanized steel painting. Galmet’s Metal Protection range of paints and coatings provide corrosion resistance and corrosion protection which enable users to treat and prevent the formation of rust. If you are looking for a high-quality metal paint, Galmet has the best solutions. From the toughest industrial applications to the smallest jobs around the home, Galmet Metal Protection products offer convenient application, outstanding performance and attractive versatile finishes. Galmet metal protection products – offer the complete system of protection to ensure optimum corrosion protection of all your metal surfaces! The Galmet® family of metal protection products began back in 1960, from a modest office in Bridge Street, Sydney. 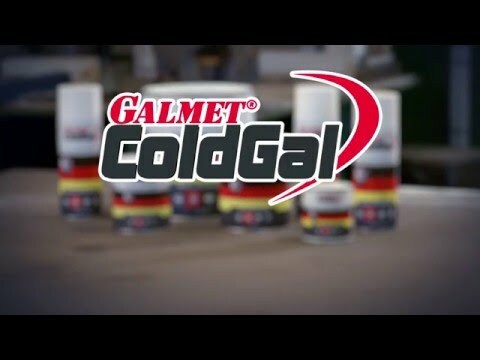 In a short time the company’s zinc rich primers and coatings, most notably Galmet® ColdGal, were established as Australia’s premium anti-rust products. Following the success of Galmet® ColdGal, an innovative rust converter, Ironize, was added to the range. By the late 1970’s Galmet® expanded its product range to include aerosol primers and anti-corrosive spraying enamels. These included Epoxy Rustpaint, a high performance enamel for industrial and domestic use, Spraypaint, a fast drying enamel for industrial use, and the Fence Gutter Facia range, which incorporates the latest Colourbond® colours. Drawing from over 50 years of experience in manufacturing anti-corrosive solutions, these products are still the foundation of the Galmet® range. Galmet® is still proudly made in Australia, today it is manufactured by ITW Polymers and Fluids at Wetherill Park, NSW, Australia. The fundamental foundations of Galmet® quality are still employed today in our manufacturing process. Whether the metal surface is new or requires restoration, Galmet® metal protection products are your guarantee of convenience, outstanding performance, attractive versatile finishes and quality every time.